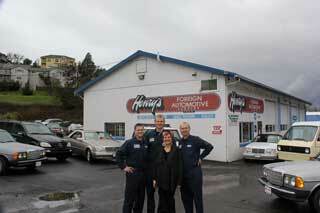 Henry's Automotive, located at 4586 S. Pacific Highway in Phoenix, will be celebrating 22 years in business this June. It was in 1991 that Henry Oprawski and his wife Grazyna decided to leave the big city life of L.A. for Ashland. "We were tired of the big city," Grazyna said. 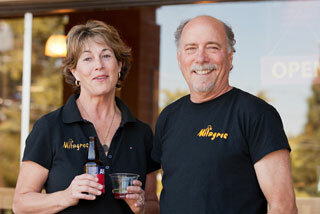 "We had always loved Ashland and its culture, so we decided to move our business up here and call it home." Joining them in the business was Slawek Krolak, who is married to Grazyna's sister Elizabeth. Slawek had been an engineer in his native Poland, and the Oprawskis convinced him to relocate to southern Oregon. It's been a long and winding road for Susan and Steve Means the last few years. The two entrepreneurs met on a short airline flight back in the 1990s, and after getting married spent time in various locales around the country before deciding to return to Ashland. Sue had moved to Ashland in 1982, was a midwife for seven years, and opened the Gourmet Coffee Cellar in 1989 before selling it to a friend in 1992. When Bow DeBey, owner of Siskiyou Import Service (1713 Siskiyou Blvd), was attending Ashland High School in the early 1990s, he was fortunate enough to find himself in the auto shop with Mr. Titus, a teacher who retired last year after 43 years. "I was passionate about cars and figuring out how to fix their problems," Bow said. 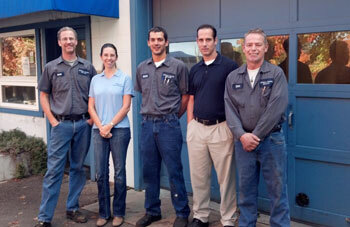 "After high school I went to work for a year at Siskiyou Imports for the owners, Butch McCamey and Daniel Bissey. I then moved to Eugene, where I met my wife and moved to Denver to be near her." 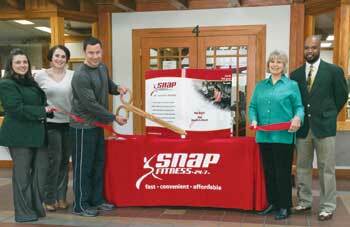 Exercise is one of the key pillars to maintaining one's health, and at Snap Fitness Ashland (310 Oak St., #4, behind the Armory), they want to make it fun and enjoyable for you. Eric Acevedo, Regional Manager for the franchise which owns and operates 11 fitness centers in Oregon and California, opened the Ashland location in February of this year. There are also centers in Talent, Medford and Jacksonville. 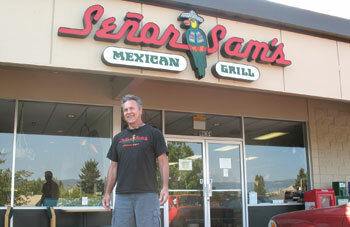 Senor Sam's of Ashland opened in July of 1992, and it seems like yesterday. The restaurant is located at 1634 Ashland Street in the Ashland Shopping Center (next to Radio Shack). Their phone number is 488-1262. Jim Gilbert, owner/operator, has recently freshened up the restaurant with some remodeling, a (dog friendly) outdoor seating area, classy Latin instrumental music, new blue and white chips, Breakfast Burritos $5.49, Lunch Specials $5.49, children's meals $1.99, and more.